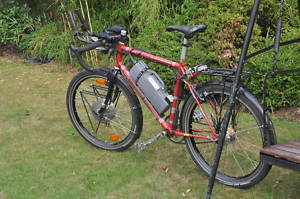 I really wanted to own a Rohloff and a nice frame, my Shimano Nexus 7 speed was truly awful and I wanted something reliable that would be fun to ride. I was also contemplating getting an electric kit to help my wife on those apparently big hills. A Heinzmann equiped Thorn Raven Tour approximately 10 years old. I went to have a look and a quick test ride and I wanted it, sure the frame and forks (and more) were showing their age, but I could fix it up and upgrade when more funds became available. I wasn’t sure about the drops, the timetrail bars or electric kit, but I knew I had a spare set of handlebars and a front wheel wouldn’t break the bank. After successfully buying the bike the previous owner was kind enough to drop it around my place, thanks Bruce. After some minor modifications (flat bars etc) I had a speedy commuting machine that averaged 16 to 17MPH. I never really fell in love with my road bike mainly because I never really felt comfortable on it. I hate punctures and I hate discomfort on my bike, so on a whim (and also to free up some space in the flat) I sold it. 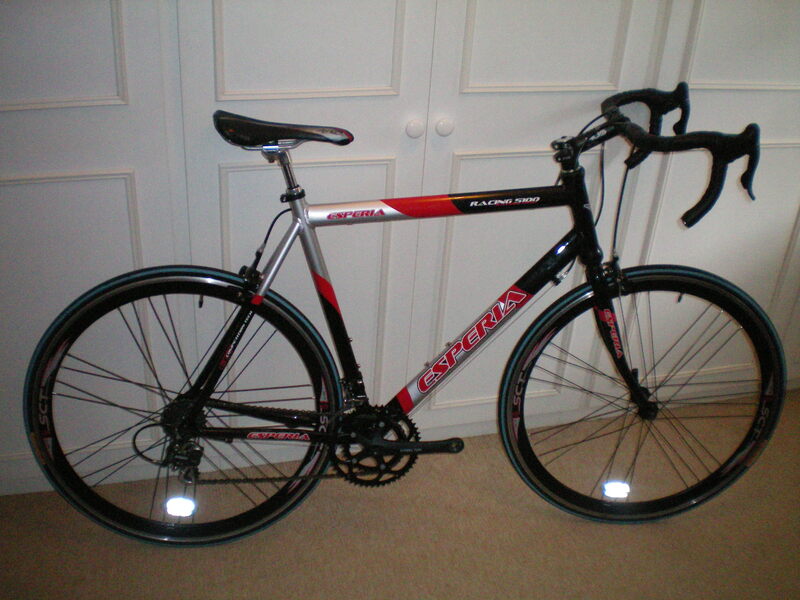 This bike was the fastest machine I’ve owned, it was (in some ways) a joy to ride, I will miss it, I will hanker after a light weight road bike in future, but I can always draw on the memories of punctures, arm and shoulder pain and how unsafe they feel compared with fat (40mm) tyres that I am accustomed to. Of course I was 3MPH faster on this bike, that extra speed was nice and I miss that sometimes. Road bikes are like sports cars, they draw the eye of onlookers and you get a lot more attention on one, which was nice at times but a strange feeling to get used to. Also they are for weekend sprints only as you couldn’t feasibly commute to work on one.